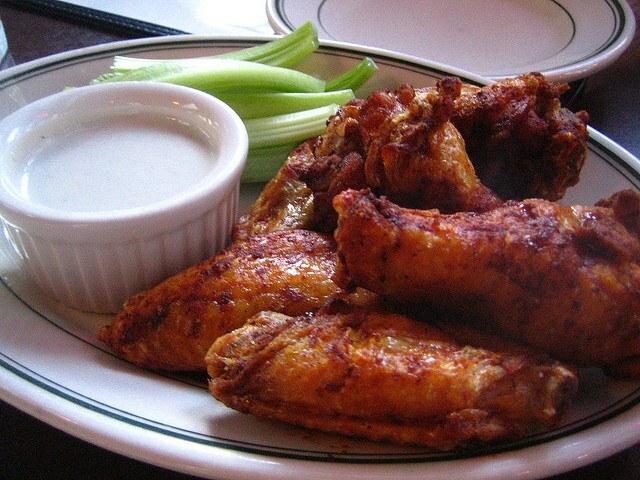 Chicken wings – the perfect dish for any occasion. They can be served with a side dish or as a snack to beer. Below the crust is crunchy, it is recommended to use a honey-soy sauce. Each chicken wing cut into 3 parts. The 2 most fleshy use for meals and the tips of the wings can be saved for chicken stock. Preheat the oven to 200C and in the meanwhile prepare sauce: mix soy sauce and honey, squeezing the juice of two lemons and pour the oregano. Mix well until the sauce is smooth. Spread wings on a baking sheet (best to use silicone), grease them generously with the sauce and put in oven. Every 5 minutes the wings must be removed from the oven, flip again and brush with sauce – the only way they will become incredibly crunchy on the outside, but juicy on the inside. 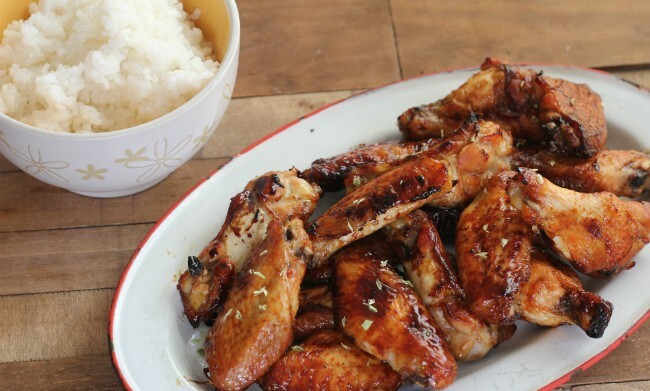 After 35 minutes the chicken wings in honey and soy sauce can be served on the table.